The Laguna is large on space and large on luxury. As you enter the home from the covered entry you enter into the foyer with a private den off to the side along with a half bath. Perfect for a home office, sitting room or guest wing, which is all up to you. 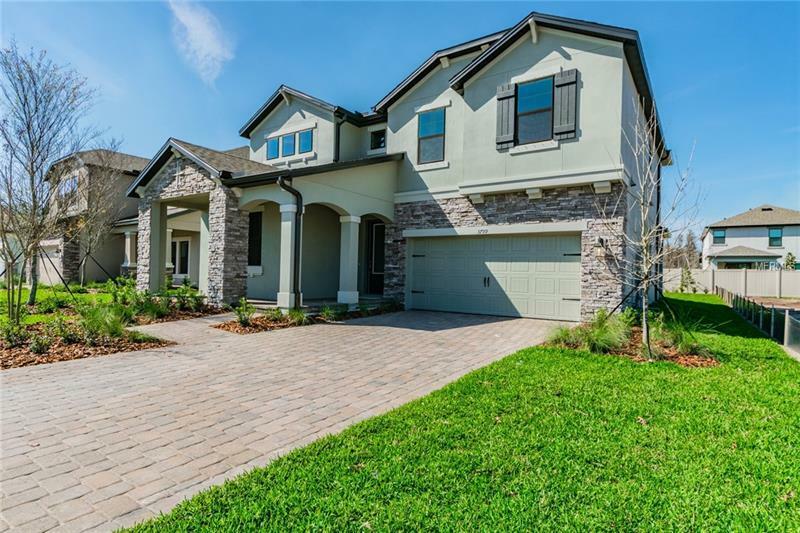 As you head further into the home you will be welcomed into the heart of the home where you will find the beautiful elegant kitchen with granite countertops and a large island facing the great room, a perfect place to start your morning with a hot cup of coffee. The kitchen also features a large dining area with sliding glass doors leading to the lanai. The great room next to the kitchen is nearly 20â wide, perfect for entertaining guests and new neighbors. If the first floor wasnât enough head up to the second floor where you will find the large game room. Also upstairs is the convenient laundry room, which makes washing, folding and putting away the laundry a breeze. To one side you will find two bedrooms. Towards the back of the homeâ¦ the master suite. The master suite is oversized and features plenty of windows for excellent second story natural light, all while the master bath features dual vanities, a large walk-in shower and private toilet. Large on space and large on luxury, contact us today to schedule a tour!